NEW! What appropriate houses for smaller songbirds! 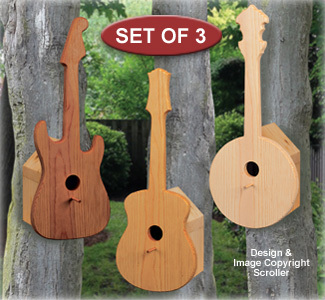 This clever new birdhouse collection includes full-size patterns and instructions to make the Electric Guitar, Banjo and Acoustic Guitar.